Al-Burhan Group’s award winning Consultancy Services has won recognition from several Iraqi Ministries for their outstanding contribution to the development of Iraq. The Group offers guidance and numerous services to expatriates coming to Iraq, including Meet & Greet Services, Accommodation, Setting up of Offices/Office Administration, Financial Guidance, Legal Assistance and other related services such as how to operate in Iraq to several FTSE companies paving the way for the entry into the Iraqi markets. Al-Burhan Airways is the only civilian Iraqi Helicopter Service. Based in Baghdad International Airport they offer: Commercial, Corporate and Private VIP helicopter flights throughout Iraq and they take pride on their technological innovations and transport efficiency. Maintaining a consistent push towards pinpointing customer needs and desires, Al-Burhan Airways provides a bespoke helicopter transportation service of the highest calibre, allowing for a timely and cost efficient means of travelling in Iraq. 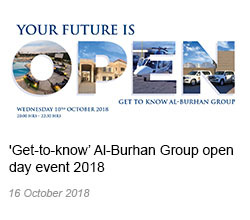 From the outset Al-Burhan Group sought to be in the mainstream for construction of building, railroad and suppliers of power and railway engineering. Participation in major specialized exhibitions, scientific and practical conferences and seminars on the issue of construction and technology of engineering equipments has become an integral part of the Group's life. 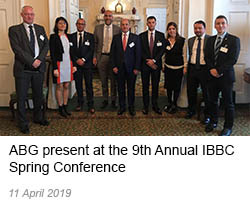 Jointly with K&M Hausbau GMBH Germany and Expert magazine Al-Burhan Group organized and held the conference on Building construction development with top officials from the Ministries concerned. The presentations covered the development of railway machines and building construction equipment. The scientific and practical Conference on Transport and Construction held at premises in London, UK, became one of last year's most significant events, which attracted over 50 experts from various institutes from Iraq, Jordan, Syria, Russia, UK, Ireland and South Africa, and production associations working in this area. Al-Burhan Group enterprises, well known in the International market never miss opportunities of participating in the most important railway, construction, agriculture industrial and aviation exhibitions. The Group's enterprises number over 4000 employees. With the principle of social partnerships and social responsibilities among the management's top priorities; major focus is on the personnel policy, personnel education and professional training, implementation of comprehensive programs on social protection, labour condition improvement, industrial safety, preservation and development of the social assets, created at the enterprises to cater to the needs of the employees. 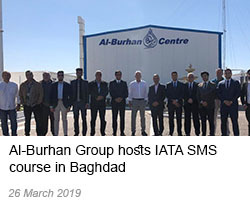 Free Iraq will enable the Group's enterprises to implement a comprehensive program for cooperation with the higher and specialized secondary educational establishment of Baghdad Universities, which will train students for employment at Al-Burhan Group. The enterprises believe that these school graduates will soon join the ranks of our workforce, thus helping resolve a very acute problem of personnel shortage. The Group's enterprises will help to retrofit the classrooms of higher educational establishments such as Technical University of Baghdad. We provide computers and laboratory testing equipment and assistance in renovating study premises especially after the destruction caused by the war. Al-Burhan Group's performances and ability to take on large projects has enabled us to grow from strength to strength. Our logo and name is now trusted worldwide for reliability and quality of service. We pride ourselves on being the most successful and organized company in the territory of Iraq. This was demonstrated in 2004 when Al-Burhan Group received an award from the Iraqi Ministry of Transport for quality of service. We also received an award for reliability from the Iraqi Ministry of Trade. This is one of many such awards Al-Burhan Group has received in the past. 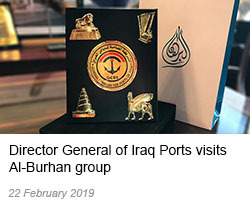 The companies that make up the group have been expanding within Iraq ever since the first Burhan company was created more than four decades ago. The creation of the Al-Burhan Group has ushered in a new, truly international relationship with several companies across the globe. The Group's enterprises aggressively work in the domestic and international markets to retain traditional sales markets and gain new ones. Our goals are to compete adequately with the world’s leaders in all forms of construction and supply of railway and milling equipment and machinery, to match the strongest and strive to become one of them. Railways, construction and milling are active elements in our international tenders, to perform certain contracts it takes part in international consortia with such renowned as Energomach Export, GBS Italy and ABB Siemens. To coordinate promptly equipment delivery of railway equipment, milling equipment and construction equipment is under constant production. 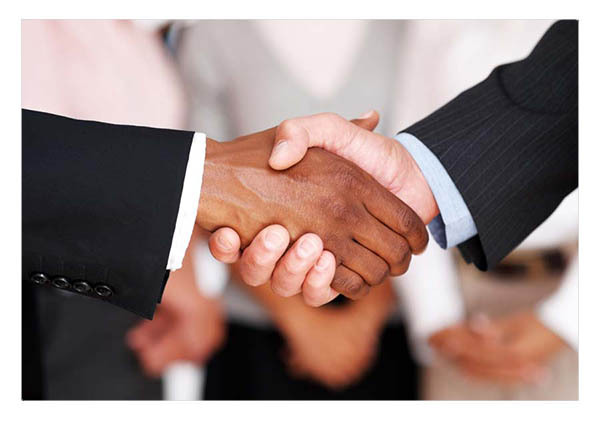 We strive to meet customer's requirements including the subcontracting of local companies.